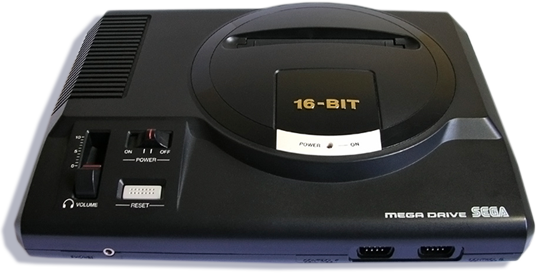 DID YOU KNOW THAT THE SEGA MEGADRIVE GENESIS CONSOLE HAD AN FM SYNTH INSIDE? 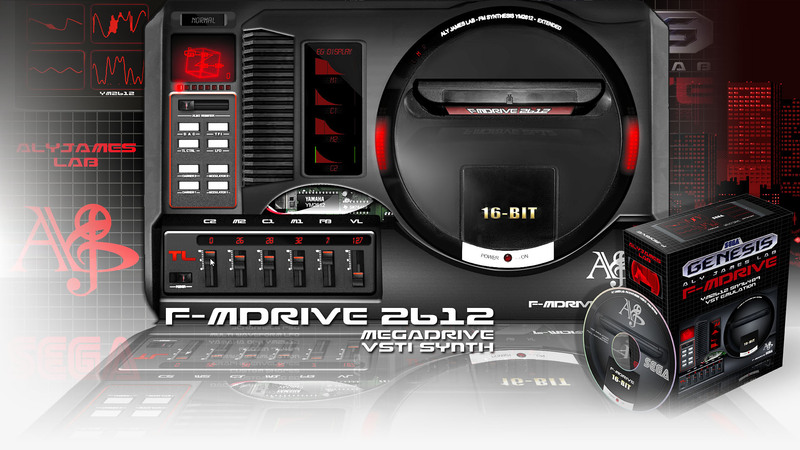 FMDRIVE is a VST SYNTH based on the SEGA Genesis/Megadrive YM2612 FM sound chip. Yes...! from those who made the legendary early DX7 crunchy sounding FM sound chip! Every register is automatable in your DAW of choice via MIDI for awesome results and the output can be converted later into a .VGM file. 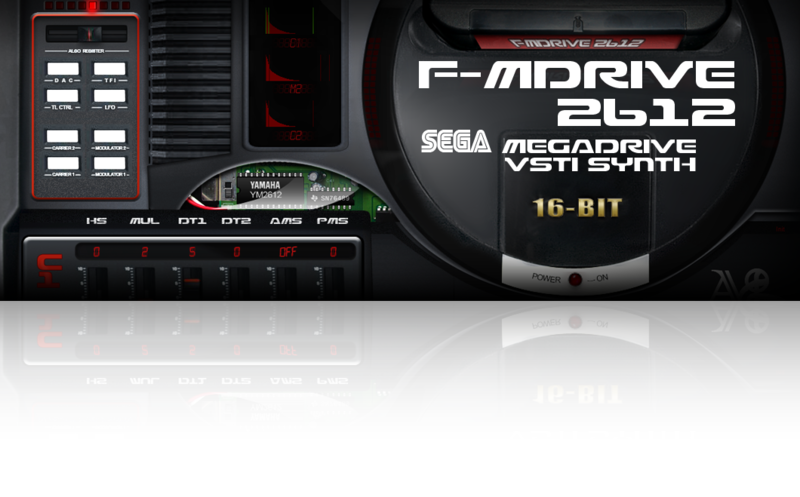 FMDRIVE is not simply a YM2612 emulator, it adds many extended features and huge user-friendly GUI! It is a fantastic synth suitable for chip music and SEGA nostalgic pleasure and also a powerful vintage sounding FM tool for modern music production. Check the manual and see by yourself! 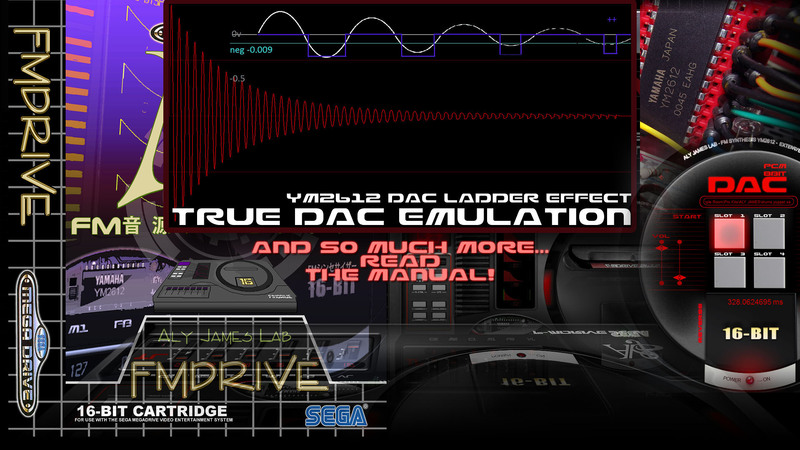 For a complete Megadrive sound emulation, my SPSG VST will take care of the PSG chip! You can design a vast range of sounds on top of 33000 music instruments presets already available from Games VGMs or extract your own. 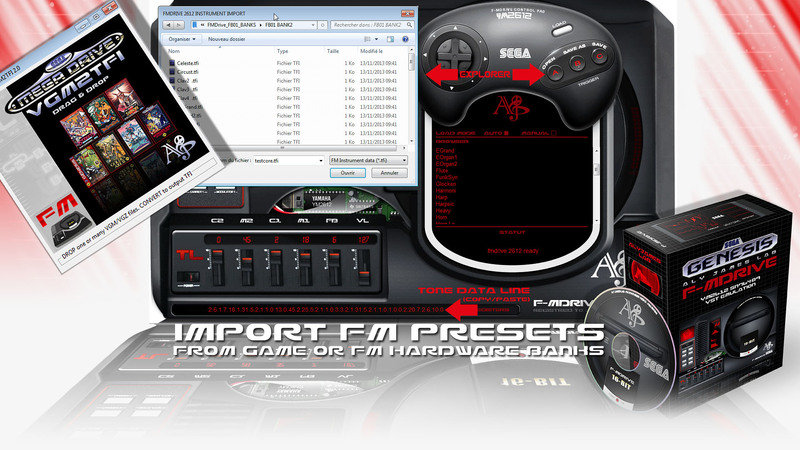 Easy drag and drop VGM files onto the VGM2TFI program to extract and convert instruments used by the music files into TFI presets usable with FMDRIVE! FMDrive VST Videos & Sounds Demos Playlists. Get amazing details about the YM2612 Chip and master the beast! 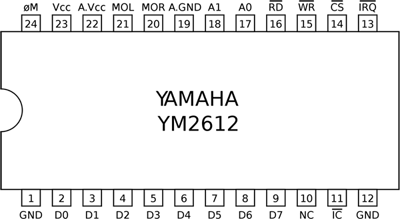 FMDRIVE YM2612 USER MANUAL V1. You can check your current version with a right click on the GUI. Updates for FMDrive VST are worth an additional donation of your choice though they can be considered free until version 2.0, so drop me a mail request and keep in mind that they are compiled on a per user basis and it takes time. - Removed "Polyrate" and "Solid EG display" functions (not very useful). - Pitch Bend range can now be set (1-12 semitones). - Glide Mode can be set to Portamento or Glide behavior. - Glide is now available in polyphonic mode too with time and slew rate control! FMDrive will be ported to Native x64 and OSX in the future. Thank you for willing to donate for using the FMDrive VST Software. You will donate to make the creation process going on and make those musical ideas alive! consider giving a little bit more than the 10 Euros minimum, it helps to make things happen! Once your donation is accepted you will receive an Email with instructions and the FMDrive software link within 3 to 7 days Max. The software will be registered to your Paypal account or donation name. IF PAYPAL DONATE BUTTON DO NOT WORK FOR YOUR COUNTRY (like JAPAN), DROP ME AN EMAIL I WILL SEND YOU AN INVOICE WITH THE AMOUNT YOU WANT TO DONATE OR GIVE YOU AN EMAIL ADRESS TO PROCEED.